Small-cell lung cancer (SCLC) is an aggressive disease with still limited therapeutic options. Despite being both a chemo- and radiation-sensitive malignancy, SCLC recurrence occurs in most cases and negatively impacts patients’ prognosis. Over the last few years, a deeper understanding of SCLC molecular aberrations has led to the identification of Notch pathway deregulation as a crucial event in SCLC tumorigenesis, disease progression and chemoresistance. In particular, the delta-like protein 3 (DLL3), a Notch inhibitory ligand whose expression is directly related to the key neuroendocrine transcription factor ASCL1, was found to be expressed in ~85% of SCLCs, while it exhibits minimal to absent surface expression in normal lungs. DLL3 thus represents an appealing novel biomarker as well as a potential target in SCLC. 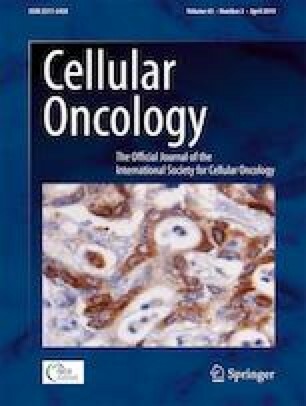 The first DLL3-targeted antibody-drug conjugate rovalpituzumab tesirine (Rova-T, SC16LD6.5) has shown promising results in terms of efficacy and safety for the management of extensive SCLC, supporting further studies on this novel therapeutic approach that combines specific SCLC targeting with the cell-killing ability of a pyrrolobenzodiazepine dimer. In the present review, we discuss currently available evidence on the biological role of Notch signaling in SCLC from early preclinical findings to current and future clinical implications. Tiseo M: Advisory board for Abbvie. Other contributing authors have no conflicts of interest, including specific financial interests or relationship and affiliations relevant to the subject matter or materials discussed in the manuscript.